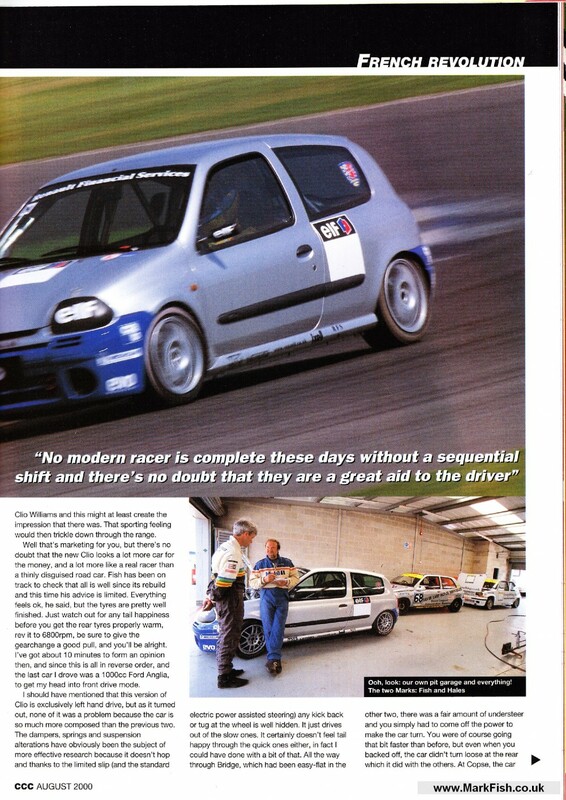 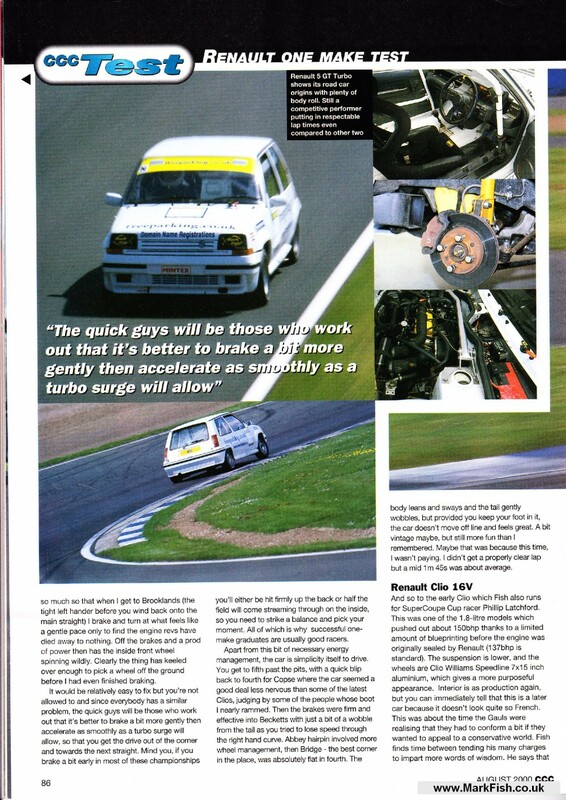 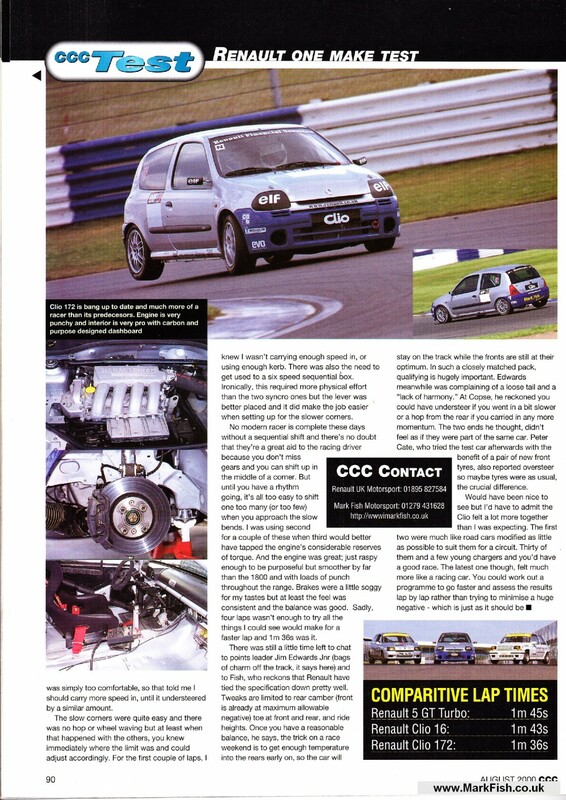 We worked with ‘Cars and Cars Conversions’ magazine to supply three of Renault’s ‘Cup’ championship cars for a test. 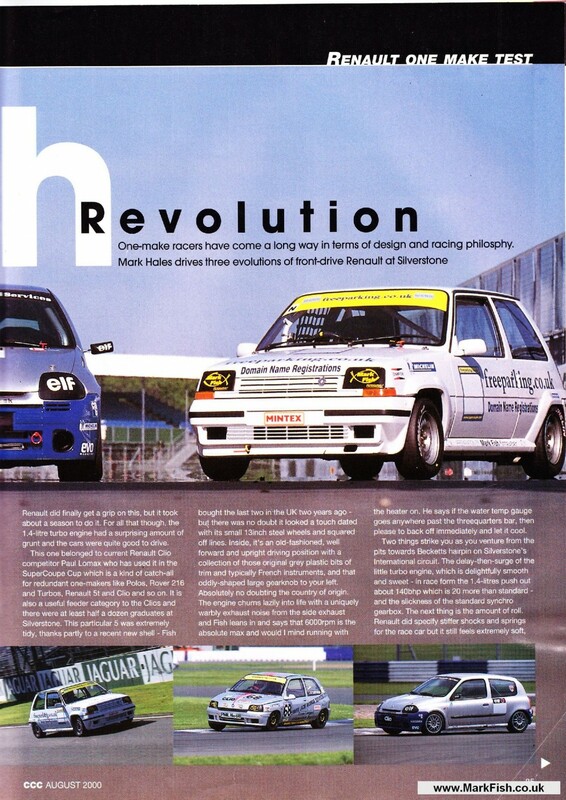 It is a very interesting article comparing how the models have evolved, and how race cars in general have changed with the times. 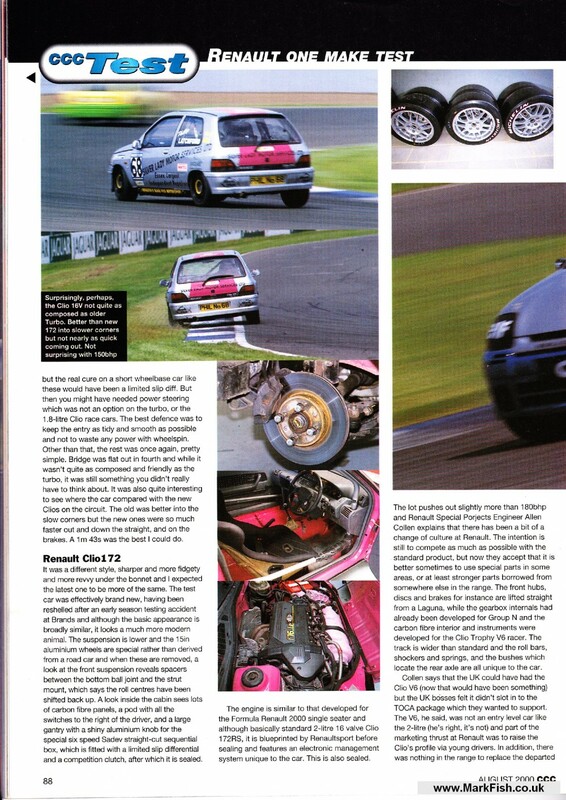 If you right-click and save the image, you can view the article in full resolution.